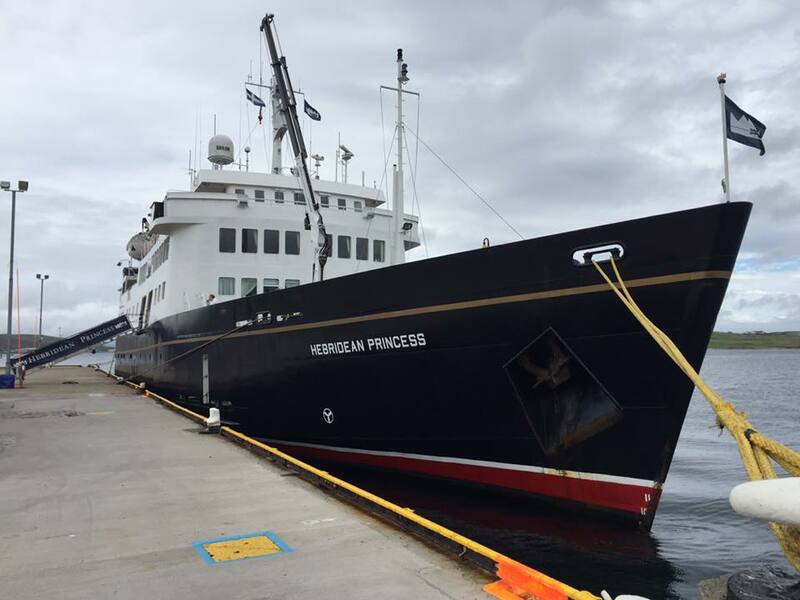 During this cruise we discover the far-flung islands of Orkney and Shetland as Hebridean Princess sails where the Norse once ruled. These contrasting archipelagos boast some of the finest Neolithic sites in Britain and both played vital roles during the Second World War. Disembarkation took place at Admiralty Pier, Invergordon and we hope all our guests had a safe journey home. 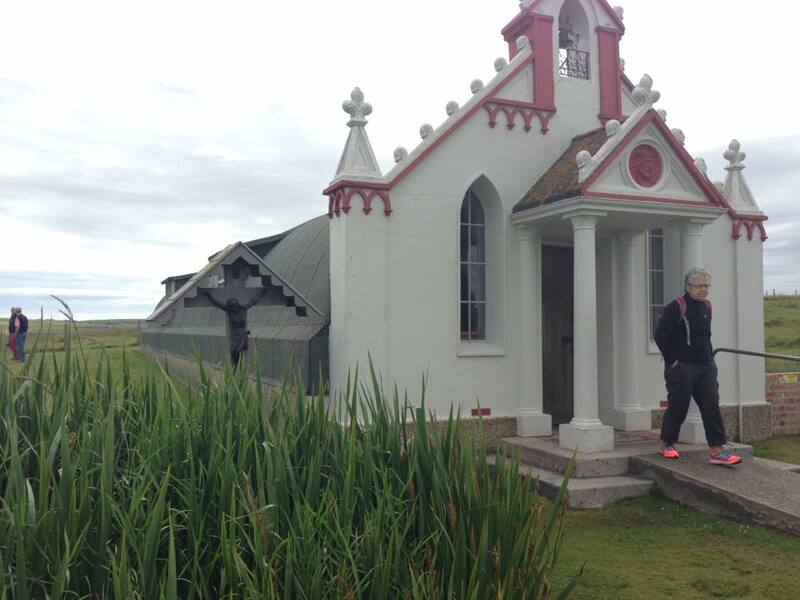 Today was spent in Wick where guests visited the Wick Heritage Museum in the morning. 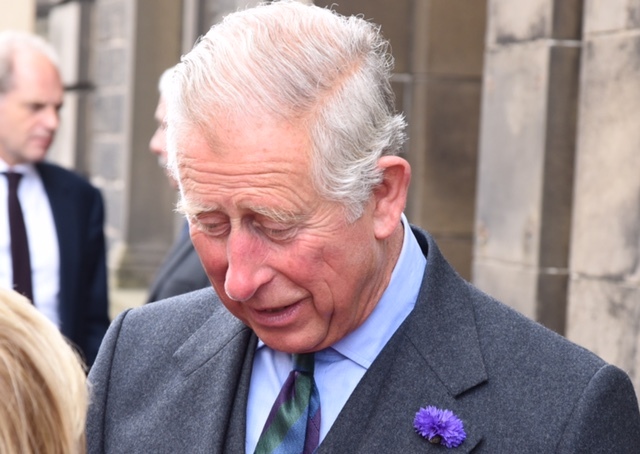 Whilst in Wick our guests enjoyed a Royal encounter! 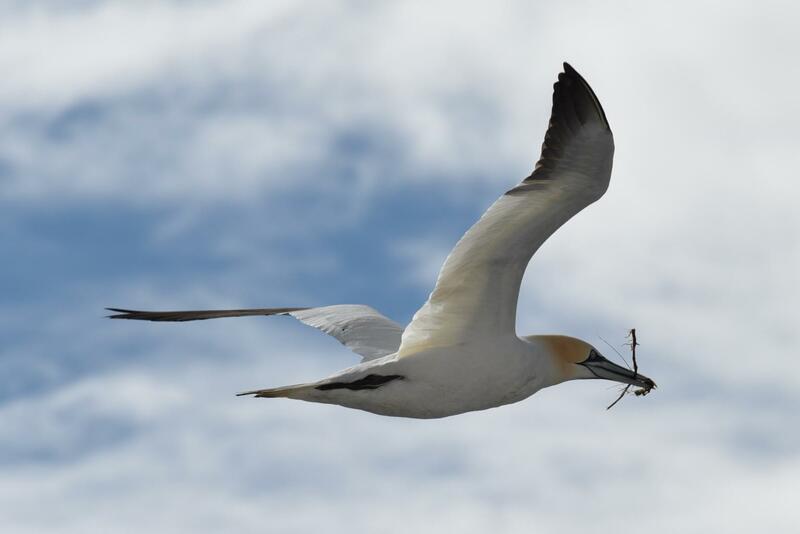 Thank you to guest Mike Lewin for the image. Following lunch on board an excursion to John O'Groats and Dunstanby Head was available or free time to explore Wick independently. The Farewell Gala Dinner was held on passage to Invergordon where we berthed overnight. Our morning visit was to Skara Brae, the best-preserved Neolithic settlement in Western Europe, or guests enjoyed free time to explore Stromness independently. Long before Stonehenge or the Egyptian pyramids were built, Skara Brae was a thriving village built over 5,000 years ago. 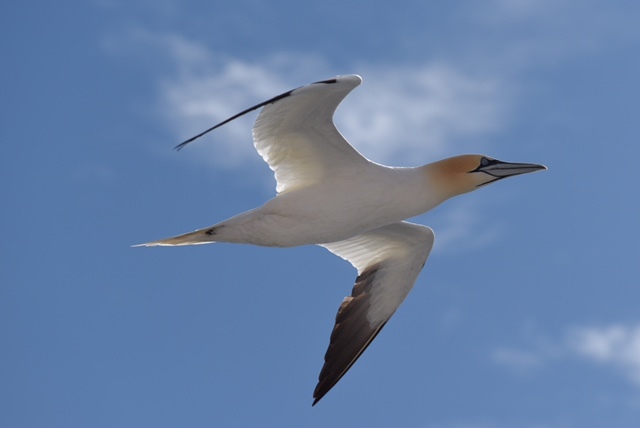 We cruised to Scrabster during lunch for an afternoon visit to Dunnet Head RSPB reserve. After an enjoyable evening sail around Dunscanby Head and Dunstanby Stacs we anchored overnight in Sinclair's Bay. 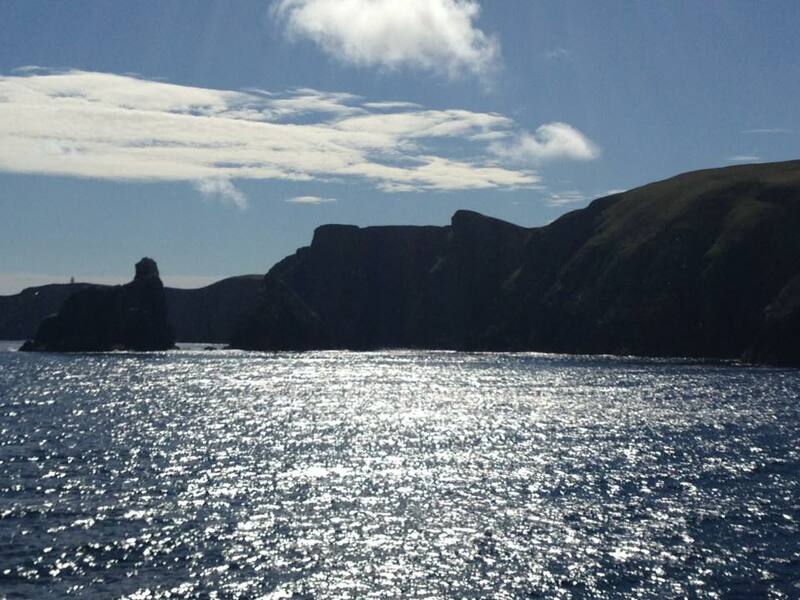 A stunning sail south was enjoyed this morning as we cruised past Fair Isle on passage to the Orkney Islands. 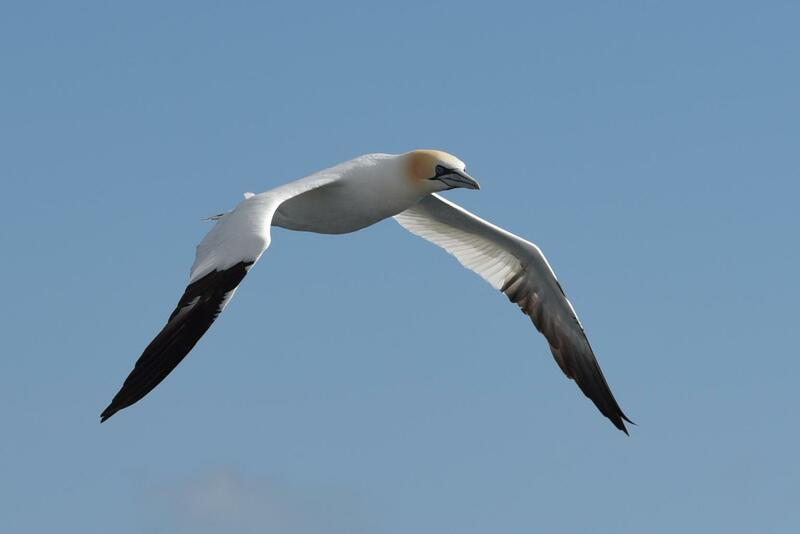 Guest Mr Mike Lewin captured these stunning images of gannets in flight en route. Our afternoon was spent exploring the island of Sanday on foot before sailing to Stromess and our overnight berth. 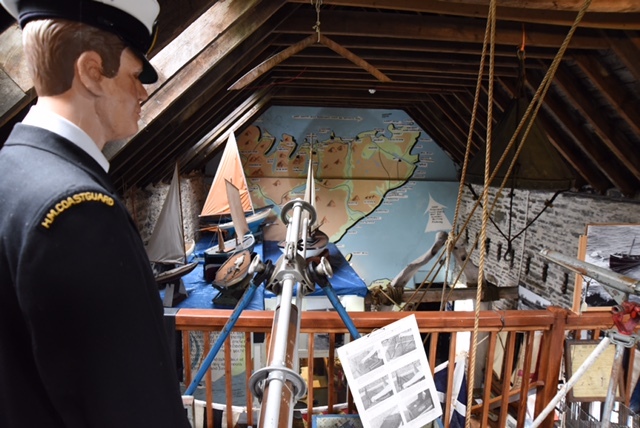 This morning we visited Symbister, Whalsay, where guests enjoyed walks ashore and learned about the history of the Hanseatic League at the Pier House Museum. We arrived in Lerwick on Mainland Shetland in the afternoon for a visit to the Shetland Museum & Archives. We remained overnight on the berth in Lerwick. 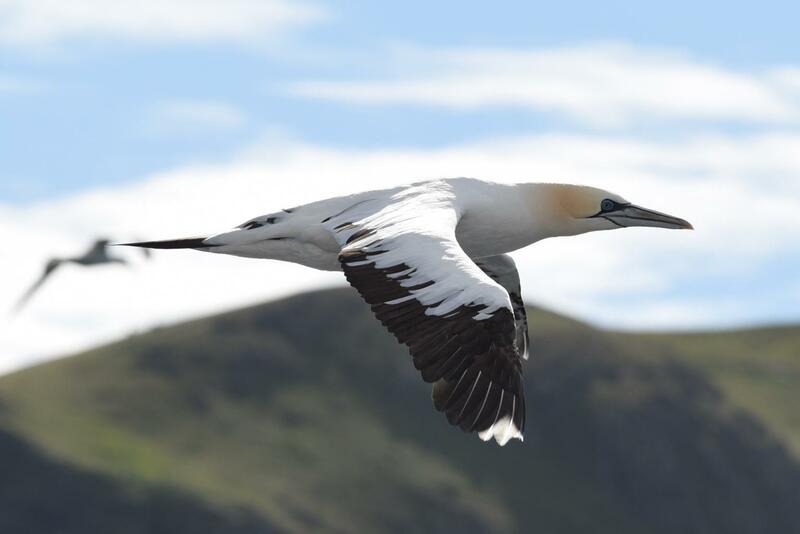 This morning guests relaxed on board as we sailed to Baltasound on the most northerly of the Shetland Isles, Unst, Following lunch guests were taken on a tour of the island which included views of Muckle Flugga and the Stevenson designed lighthouse which is the most northerly in the British Isles. 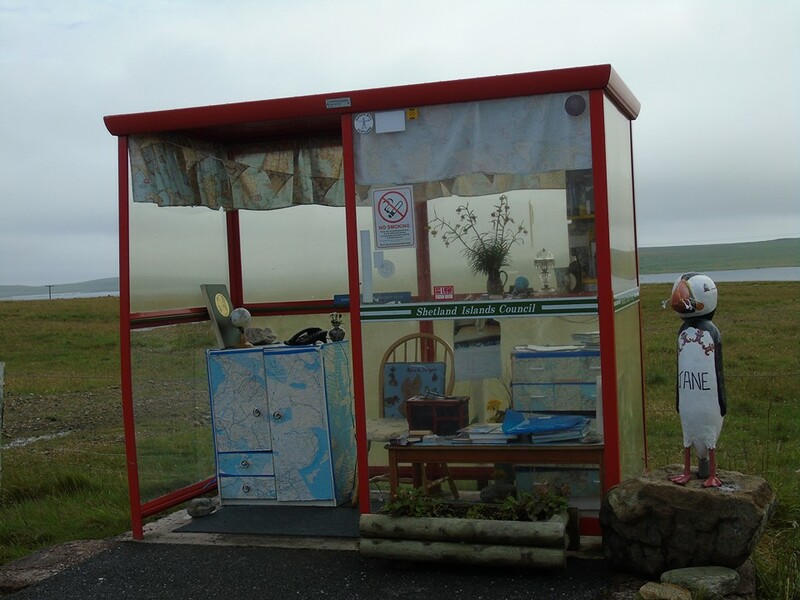 Other highlights of the island tour were the boat building museum and the The Unst Bus Shelter which is equipped with home comforts such as a television set, and is maintained by local residents. We anchored overnight tonight off Vidlin Voe. 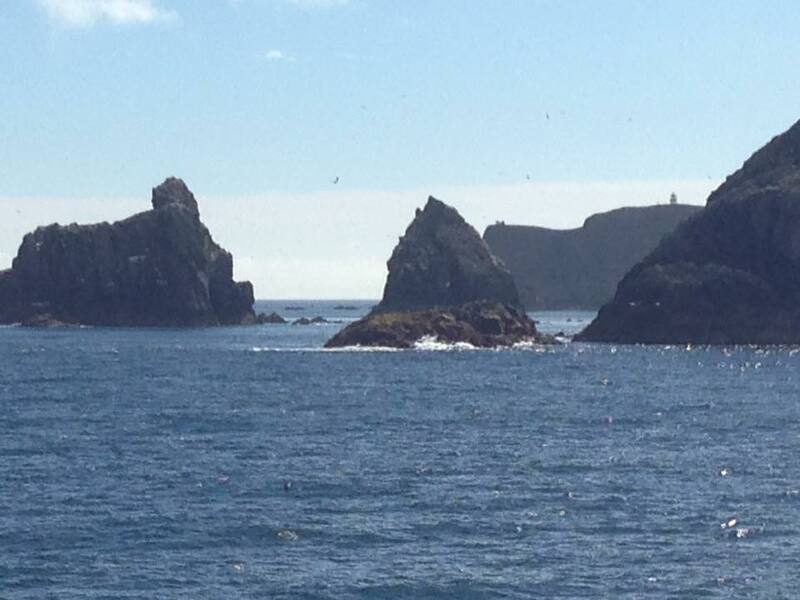 We spent this morning cruising north on passage to Fair Isle. 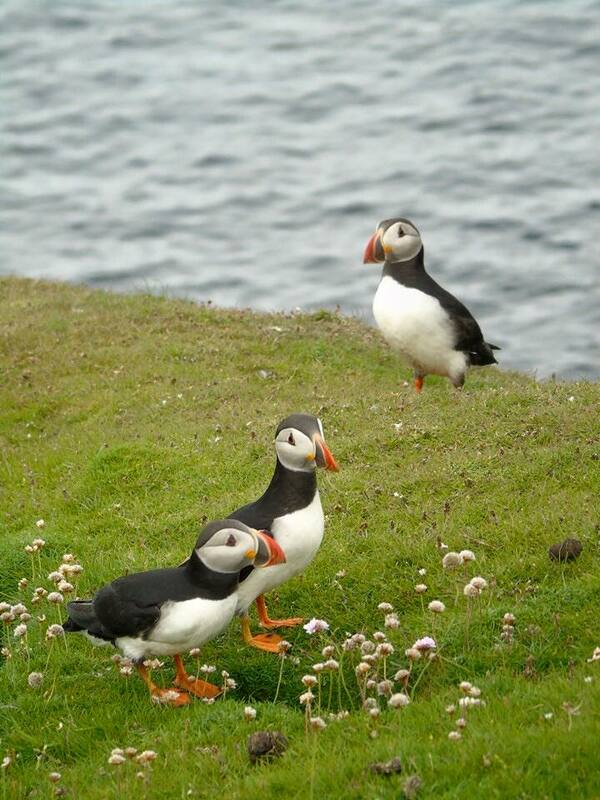 Guests landed on Fair Isle in the afternoon for walks on the island, visiting the bird observatory, the community hall for the famous Fair Isle knitwear and refreshments and the Museum. 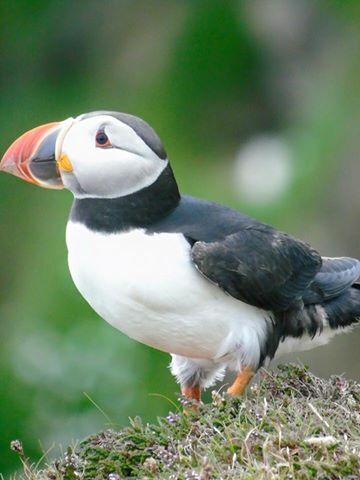 Plenty of puffins were spotted on the island. 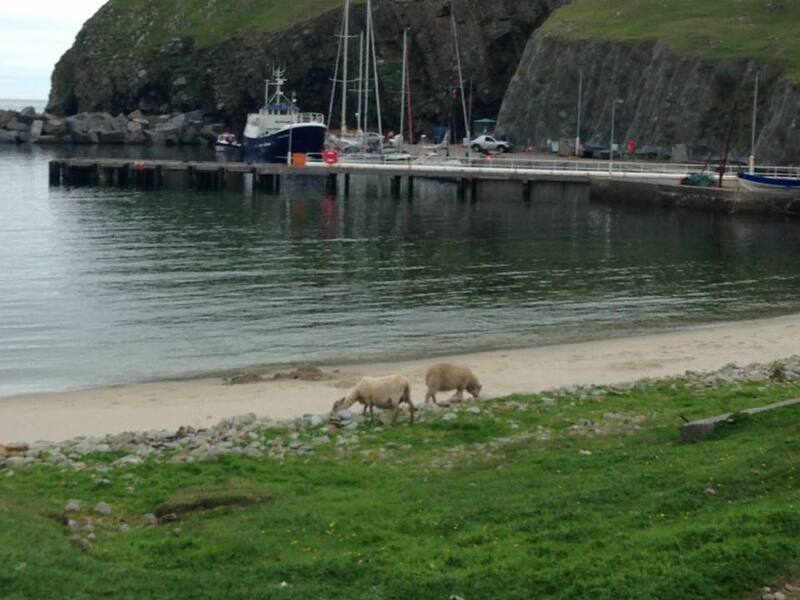 We anchored overnight off the Isle of Yell. 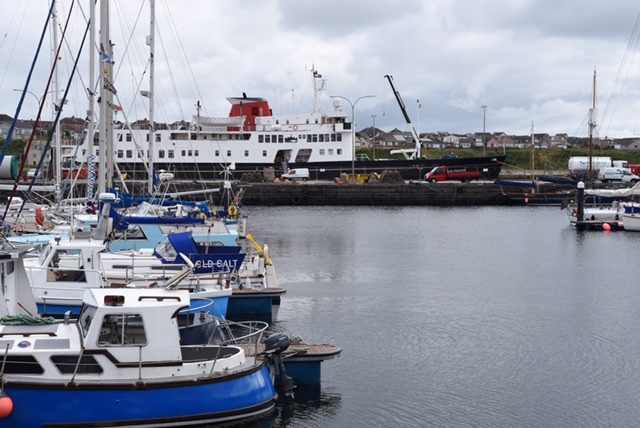 Today we were berthed alongside in Kirkwall, Orkney, from where guests enjoyed a morning tour which included the Italian Chapel and the Churchill Barriers. 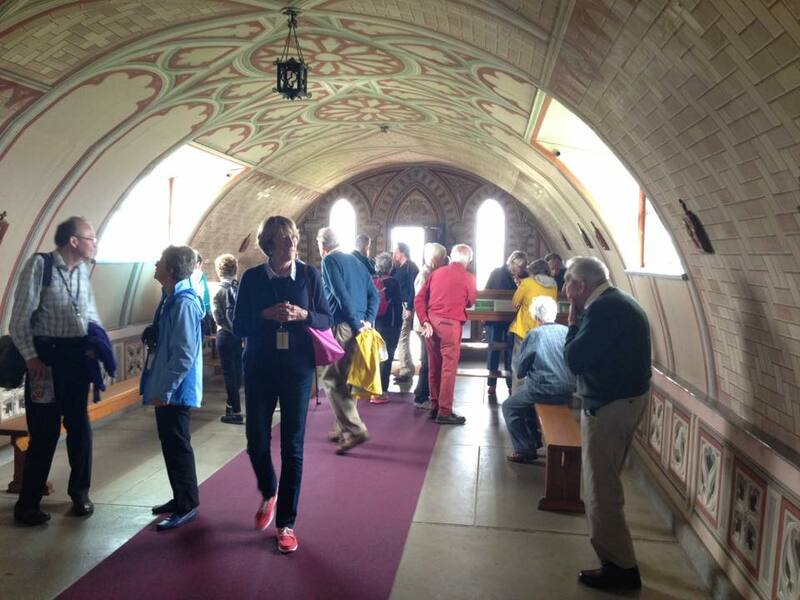 After luch there was free time during the afternoon for guests to visit St Magnus’ Cathedral and explore Kirkwall independently. 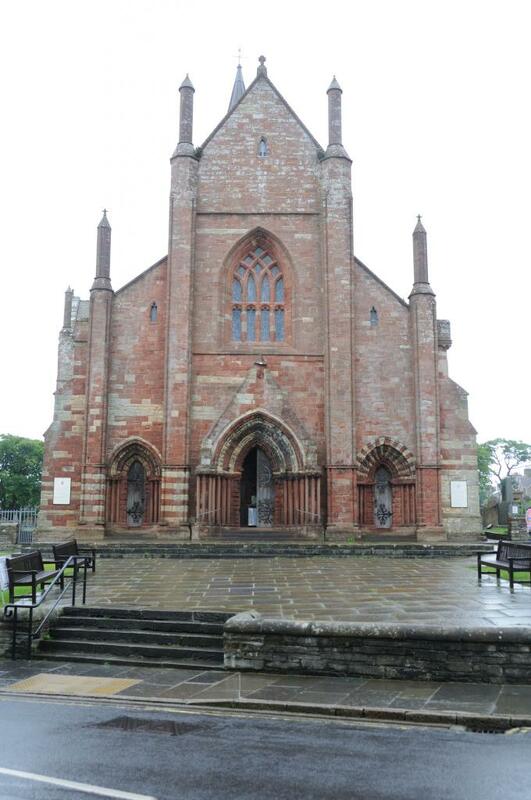 St Magnus Cathedral - photo credit John Noorani. We remained alongside in Kirkwall overnight. Today guests visited Dunrobin Castle, the most northerly of Scotland's great houses and the largest in the Northern Highlands with 189 rooms. The castle is also one of Britain's oldest continuously inhabited houses dating back to the early 1300s, home to the Earls and later, the Dukes of Sutherland. The Castle, which resembles a French château with its towering conical spires, has seen the architectural influences of Sir Charles Barry, who designed London’s Houses of Parliament, and Scotland’s own Sir Robert Lorimer. 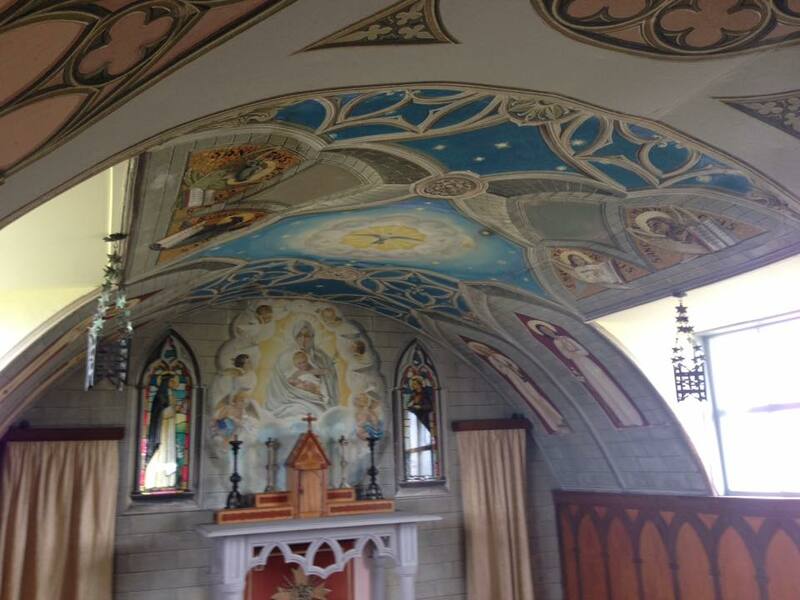 The Castle was used as a naval hospital during the First World War and as a boys’ boarding school from 1965 to 1972. 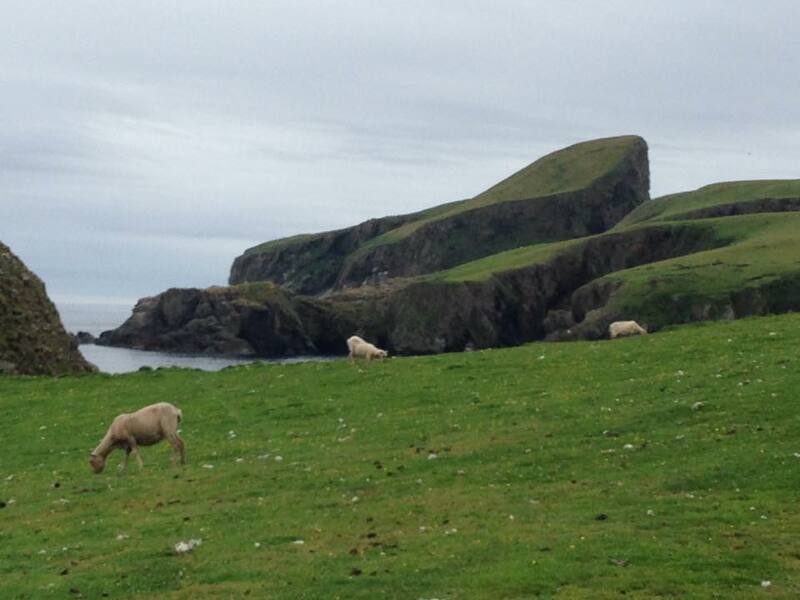 The afternoon was spent cruising the east coast of Scotland on passage towards mainland Orkney. Our first embarkation of the year in Invergordon took place today.